Looking to start your cloth nappy collection of boost your stash? 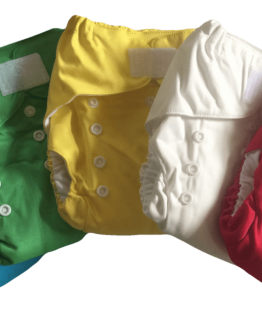 Our 5 dinky nappies is a great way to get five of our popular cloth nappies a t a great price. Each pack contains five of our dinky pocket nappies and five our our absorbent bamboo and microfibre trifolds, a great way to start your cloth nappy collection. Buying our dinky cloth nappies, in one of our 5 pack dinky nappies saves you even more money. 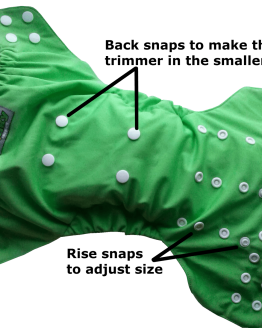 Our five packs work out at just $22 a nappy, which is a great way to build your cloth nappy stash without spending a fortune. Mix and match colours, it’s up to you. 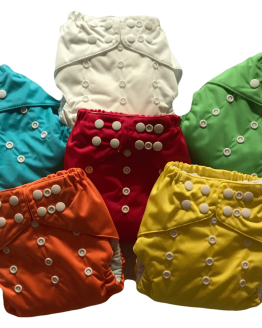 Our 5 pack dinky nappies contain our popular dinky nappy, that has heaps of great features. 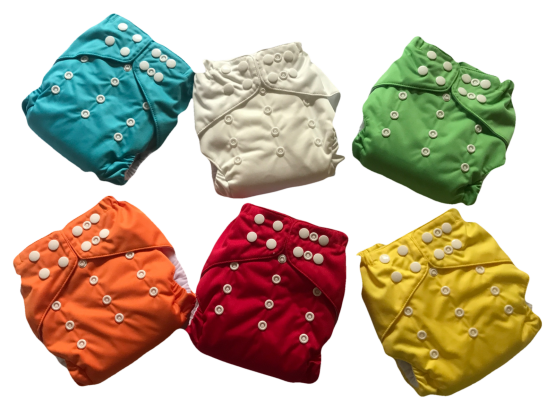 This is a one size fits most pocket nappy, with both front and back sizing snaps, so that it really does fit an even greater range of sizes. 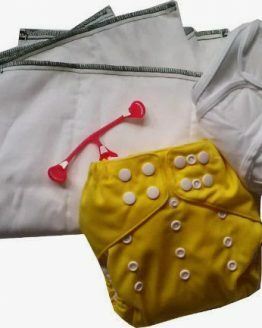 Deep leg gussets help to prevent leaks on even little babies, double snaps or velcro at the waist to prevent wing droop, and our great back snaps, which make a trim fitting nappy in the smaller sizes. Each of our dinky cloth nappies come with a microfibre and bamboo trifold insert. The combination of these two fabrics provides an absorbent pad, which will lock moisture away. The insert is quick drying as it unfolds flat. It is also easy to stuff into the pocket, as this has been designed to be wide and easy to use.